The Jazz Café audience comprised a good number of younger listeners and the self-styled ‘power jazz commandos’, the Taupe boys, dropped by to check out Sharkey and co. From Joe Henderson we heard Isotope (Champion’s masterful arco bass feature), and The Inner Urge, a Latin feel on Night and Day and a heavily disguised, slowly unfolding My Funny Valentine. Sharkey broke a string, the first time since 2011, said the guitarist, re-stringing as Champion and Hendrickx hit a groove. A long second set (too long at 75 minutes? ), an enjoyable evening drew to a close with Bewitched, Bothered and Bewildered. 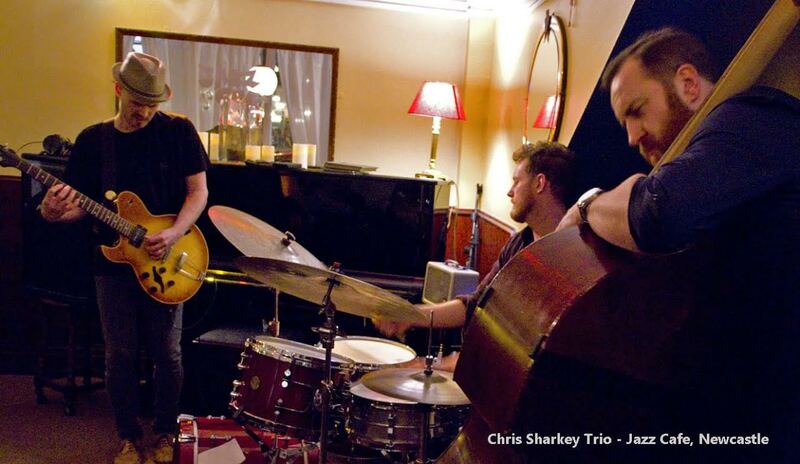 The Chris Sharkey Trio will be at the Jazz Café again on 8th March – a second gig of five in a short residency running through to April – to play some more standards and, perhaps, some original material.